Sino-Vietnamese Cooperation in the Gulf of Tonkin: Towards a New Chinese Diplomacy in South China Sea? Ever since the Sino-Vietnamese rapprochement in 1991, Beijing and Hanoi have always tried to compartmentalize their territorial disputes. The resumption of tensions in the South China Sea since 2011 has only partly affected their bilateral partnership, as they continue to uphold agreements regarding maritime areas and hydrocarbon deposits in the Gulf of Tonkin. 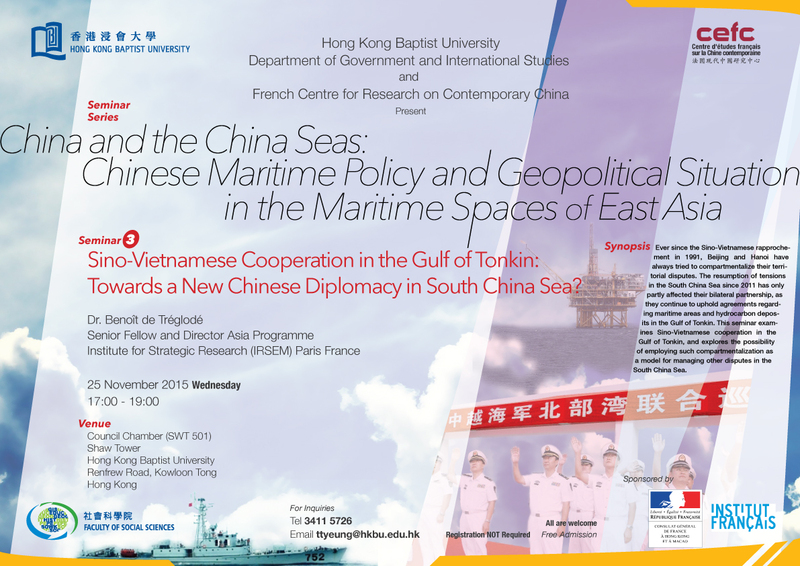 This seminar examines Sino-Vietnamese cooperation in the Gulf of Tonkin, and explores the possibility of employing such compartmentalization as a model for managing in the future other disputes in the South China Sea.